The beautiful 22-verse hymn Eshet Chayil, “Woman of Valor,” is an alphabetic acrostic found in the closing verses of the book of Proverbs.1 It is traditionally sung in many Jewish homes on Friday night before kiddush. On the most basic level, the singing of Eshet Chayil has become a way of expressing gratitude to the lady of the house, for what is a more fitting time to sing her praises than on Friday night, after she worked tirelessly to ensure that the Shabbat Queen be greeted in royal fashion? Indeed, the Arizal is known to have kissed his mother on both her hands every Friday night.3 Some follow the custom of the Arizal, and have the children kiss their mother’s hands on Friday nights (this is not a Chabad custom). These explanations point to the simple reason for reciting Eshet Chayil on Friday night: as a way to express our deep gratitude to the lady of the house.7 But there are far deeper reasons as well, and one recites the hymn regardless of his marital status. This mirrors the teaching of the Zohar that all blessings for the coming week come from Shabbat.9 Appropriately, in Eshet Chayil we say, “She rises when it is still night; she gives food to her household and an allotted share to her maidens”10—the blessing of food for the household comes from Shabbat. Shaar ha-Kavanot, Inyan Arvit Leil Shabbat 2. Midrash Tanchuma, Chayei Sarah 4. See Metzudat David, Proverbs 31:10. See Midrash Shocher Tov (Midrash Mishlei) 31. Another reason given for reciting Eshet Chayil on Friday night is that Shabbat night is designated as a special time for marital relations. See Minhagei Yeshurun 29. See Avot 6:6; Talmud, Shabbat 87a; Yalkut Shimoni, Mishlei 964; and Eitz Yosef on the Siddur (printed in Otzar ha-Tefillot). Talmud, Shabbat 119a and Bava Kama 32b. Shaar ha-Kavanot, cited in Shaar ha-Kollel 18:2. Sefer Ziv Minhagim, p. 96. See commentaries of Ralbag and Malbim, Proverbs 31:10. See Maamar Mordechai, cited in Yalkut Me’am Loez, end of Mishlei. In response to Scott's message, below. Your comment, "the home is the dominion of women and it's the woman, the wife the mother that truly does the important work of preserving our people through her work" is beautifully written. The Jewish girl, who becomes the Jewish Wife, then the Jewish Mother, is primarily important, because without women, there is no Jewish people, This is "work" that men cannot perform, involving immense valor, and suffering pain that a man cannot endure, for a woman to give birth to a child, and more work to nurture her husband and that child for many years thereafter. I'm a pretty simple guy. I look at shul and see it as the dominion of men. A guy that can't even lein the portion simply has to mouth the blessing and he gets a yasher koach the home is the dominion of women and it's the woman, the wife the mother hat truly does the important work of preserving our people through her work. 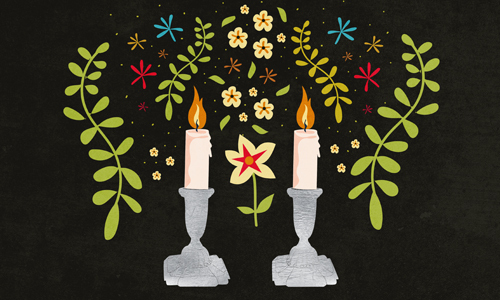 Maybe you're a guy who is passionate about saying the prayers day in day out in a room but for most Jews the love for our people comes from memories of the shabbat and holiday tables. From the love of their mother. The way that the woman makes a kosher home... A graceful and beautiful home. Which takes a huge effort. When you look at why the liberal strains are dying I blame it on their marginalization of the role of the Jewish home and woman telling her that the only thing that matters is bring a rabbi. I was married 44+ years, and found myself widowed 4 years ago. I live alone, and have Friday night dinner alone as well. Kind of sad I'm posting anonymously because I post here on occasion and while most of my posts are positive and related to opinions on other topics, the subject of this post is upsetting to me personally.